Stephanie Grisham took to Twitter to call out an article by British tabloid the Daily Mail, which featured multiple shots of the first lady’s long hair blowing in the wind as she flew out of Maryland and arrived in North Carolina. “Melania Trump’s normally picture-perfect appearance met its match on Monday morning, when the first lady was caught in some very blustery weather that saw her left without a single hair in place,” the article reads. Grisham didn’t appreciate the coverage, accusing it of glossing over Trump’s focus on members of the military in honor of Month of the Military Child. FLOTUS and the second lady’s trip to Fort Bragg included a visit to a middle school on the military base, where Trump spoke to students about her anti-bullying #BeBest initiative. “This display of liberal media bias undermines all who serve,” she wrote, though commenters were quick to point out that, in addition to being a U.K. newspaper, the Daily Mail is notoriously conservative. I knew nothing about this until I read a story online about your (Ms Grisham's) reaction to the reports. People really don't care about this stuff until others (you in this case) make it a story. And do not forget hehr husband is also trying to defund $billions from the military to build his vanity Wall, $billions taken from the same military families these 2 are going to visit! Hypocrisy or "NO CLUE" syndrome, I do not know! HA! ivanka poses for and waves to the daily mail on a regular basis. Birther wife and grisham piss and moan when they get press and when they don't. It's a UK publication. How 'bout the problems the trump friend david pecker's U.S. rags have caused….with the trump's help! Well, that’s about how relevant she is. Did she have a great message on the back of her coat? Is she getting anywhere trying to explain what BeBest means to her husband? 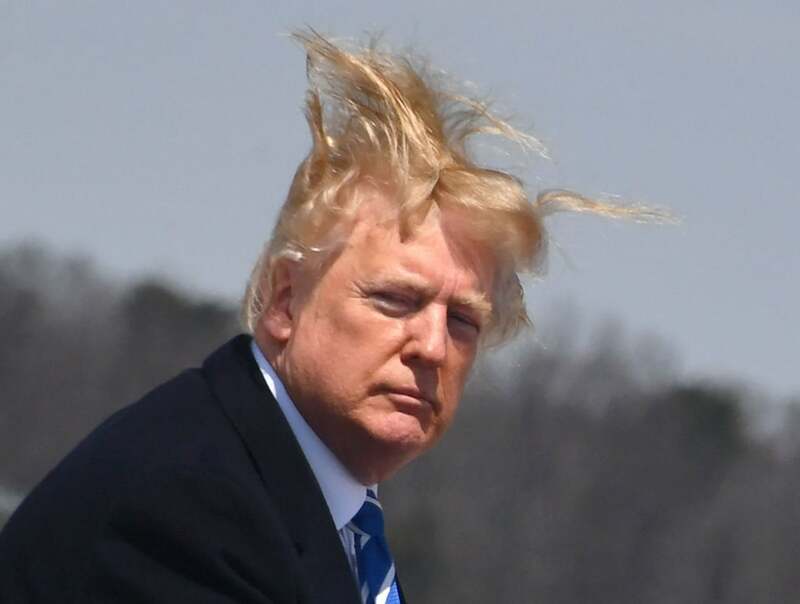 And hey, maybe the crazy wind hair is a Trump thing?